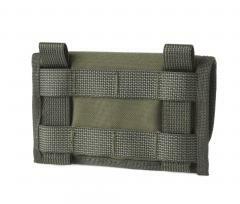 Shotgun Cartridge Pouch with MOLLE/PALS attachment for anyone who carries a shotgun and needs loose ammo handy. 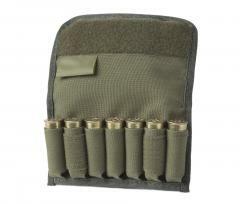 The Rekyyli Ammo Pocket S7 is a versatile and roomy pocket for shotgun cartridges. 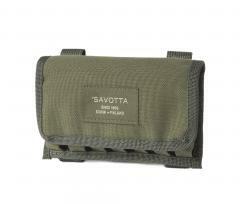 Its name stands for the seven shotgun cartridges that fit inside the pocket, regardless of calibre, which means that the pocket can also accommodate those longer 89 mm / 3.5" Super Magnums. 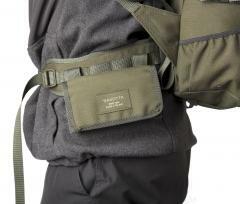 The MOLLE fastening enables versatile use with Jääkäri products, for example, as well as belt fastening. The S7 is made out of 1000D Cordura and it features a dependable velcro fastening. The structure of the pocket separates each cartridge into its own slot, which means they won’t jingle or clatter as you walk. 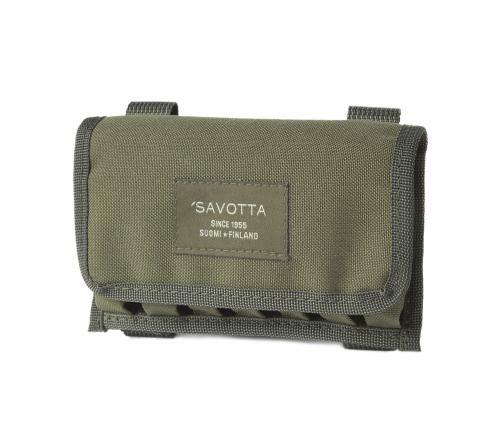 The velcro-fastened flap protects the ammo in all weather conditions, and the waterproof fabric ensures all-around protection. 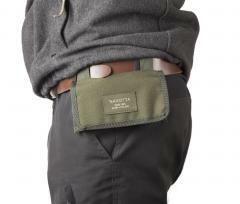 Because the pocket features the MOLLE fastening system, it can easily be attached to the Jääkäri belt, where cartridges are on hand. This is a Finnish Key Flag product, which means that over 50 % of the manufacturing work is carried out in Finland. Some of the work is subcontracted from our factory in Estonia.